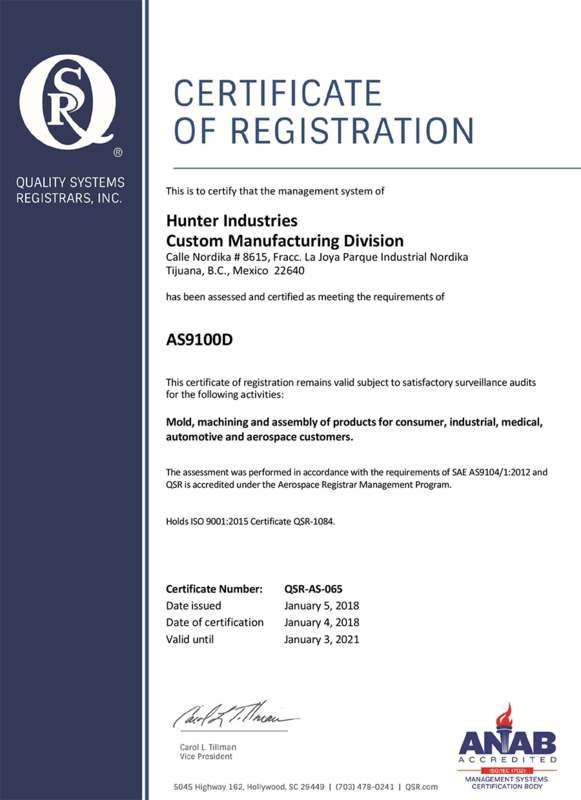 We stand out in a competitive global marketplace because we are backed by industry-leading best practices, a robust corporate infrastructure, and a quality control system that is second to none. 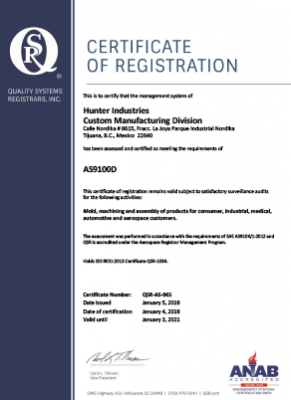 To ensure that we serve our customers to the best our abilities, we’ve established rigid manufacturing guidelines and set our compliance standards higher than ever before. 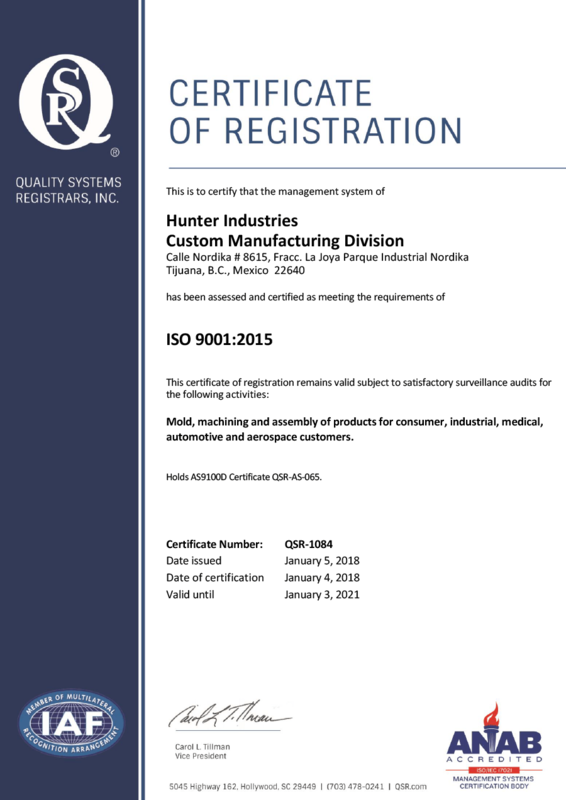 We have a Quality Management System that is AS9100 Rev D as well as ISO9001:2015 registered. 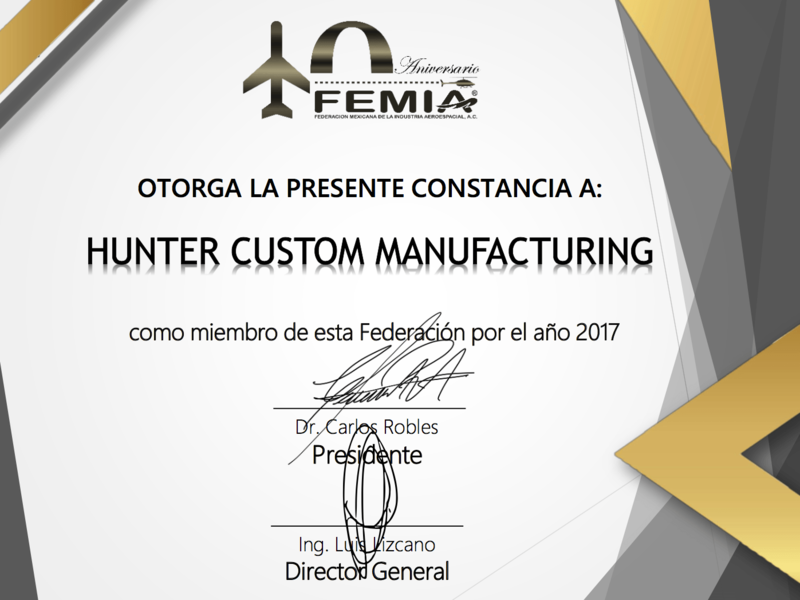 We are FEMIA (Mexican Federation of the Aerospace Industry) certified. We are Customs Trade Partnership Against Terrorism (CTPAT) certified. 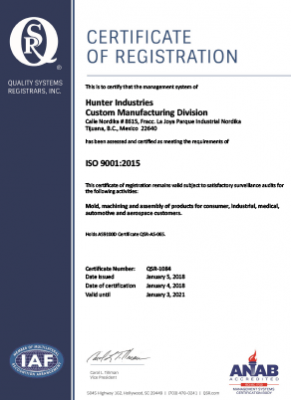 We implement Six Sigma focus methodologies and Lean Manufacturing philosophies. We embrace 6S Safety Implementation standards. We have statistical process controls that are monitored by an integrated ASI software system fully integrated in all plants. We promote continuous process improvement and ongoing employee training through our in-house Product and Process Optimization team.